Sue joined us as a massage therapist in 2011. 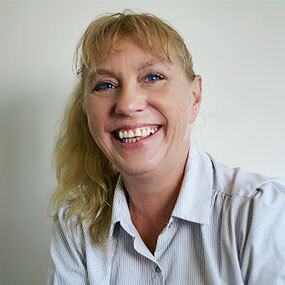 She holds a diploma in Massage and is always studying new information in the complimentary and allied health areas. Sue spent twenty years in the nursing profession (mainly aged care) and in hospitality. This unique background allows Sue to tailor her massages to suit every individual. She loves to research the effects of massage on various illnesses, especially depression. When not in the office Sue enjoys travel and spending time on her 2 and a half acre property. She also holds a veterinary nursing qualification and takes care of thirteen different animals around her place. She has two adult sons and loves being around her children and grandchildren.